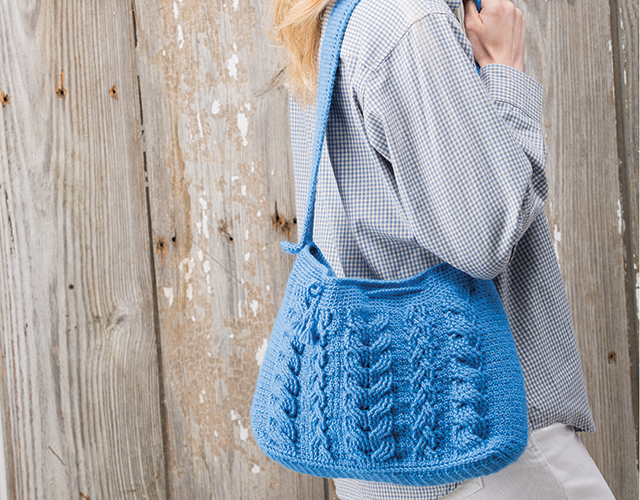 Take your crocheting skills to the next level and create a shoulder bag with three gorgeous cables! If you know basic crochet stitches, expert Jennifer Pionk will give you the confidence and know-how to make this project! With their distinctive texture and twist, cables are a favorite among crocheters! Now you can learn how to crochet a gorgeous cabled bag with ease! Crochet the In-Style Cabled Shoulder Bag. Master the extended single crochet, split single crochet, and front and back post stitches. Stitch the horseshoe cable, braided cable and 8-strand forward cable. Crochet a sturdy bag base that holds its shape. Crochet bag straps that won't stretch. Keep your work from curling with a slip stitch edging. Maintain the right tension and avoid gaps in your crochet. And finish your bag with a decorative tie with tassels. This class includes complete, downloadable, step-by-step instructions and materials list for the In-Style Cabled Shoulder Bag. I really haven't been able to see it yet. Only I know it will be the best of all.